Cape Horn is a small community located on the western side of Lougheed Highway, near Colony Farm Regional Park, in the city of Coquitlam, British Columbia. Cape Horn has an estimated population of 12,115 residents and is close to all the essentials of daily life. Residents enjoy close proximity to parks, a variety of transit options, and excellent schools. The Trans-Canada Highway and Lougheed Highway run parallel to each other and are very close to Cape Horn, providing great access throughout the region. Coquitlam experienced substantial population growth following the end of WWII, which is still being felt today. At the time of the 2011 census, Coquitlam had a population of approximately 126,840 residents. Accessibility to Coquitlam was improved with the opening of the Lougheed Highway in 1953. Coquitlam has a total area of a little more than 152 square kilometers more than Port Coquitlam and Port Moody, the other two cities which makeup the Tri-Cities of British Columbia. Students in Cape Horn attend schools of District 43, which has four secondary schools, seven middle schools and numerous elementary schools. 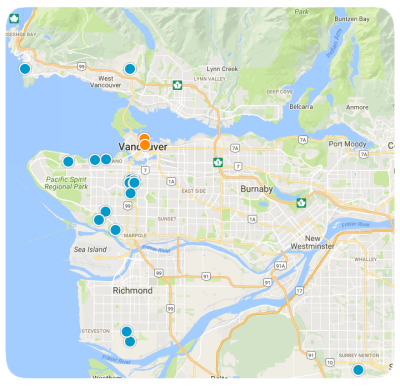 Additionally, Simon Fraser University, the University of British Columbia, and the British Columbia Institute of Technology are all located in nearby communities. Cape Horn features great homes suited to nearly any budget. Condominiums, two-story homes, bungalows, and sprawling one-story residential homes are all available in the Cape Horn area. Cape Horn is primarily a community of single-family homes which start at approximately $89,000 and go up in price to around $5,999,000 for a 5 bedroom, 3 bathroom home with 2,183 square feet and desirable amenities. Condominiums start at approximately $218,000 and go up in price to around $1,749,000 for a 3 bedroom, 3 bathroom penthouse with 2,018 square feet and gorgeous views. Lots are less plentiful than existing homes, however, lots can be found and start at approximately $649,000 and go up to around $2,150,000 depending upon acreage and the desirability of its location. Contact us today with any questions or to schedule an appointment to see any of our properties in beautiful Cape Horn or any neighboring community of Coquitlam, British Columbia.